Project Interchange reconstruction and distribution system into downtown Houston. This is a massive project and will provide an impressive interchange structure. 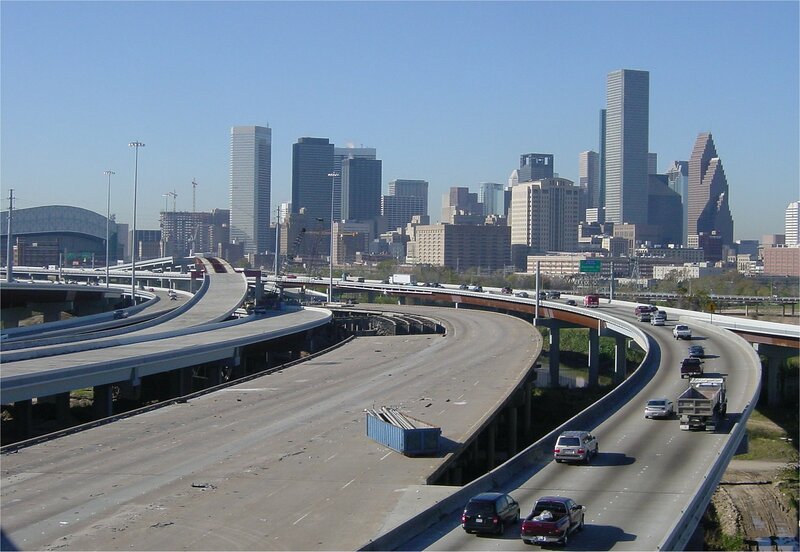 This is the first major interchange construction in downtown Houston since US 59/IH-45 interchange was completed in 1974. Funding was authorized in 2001 to build 2 more connector ramps at this interchange at a cost of $17 million. 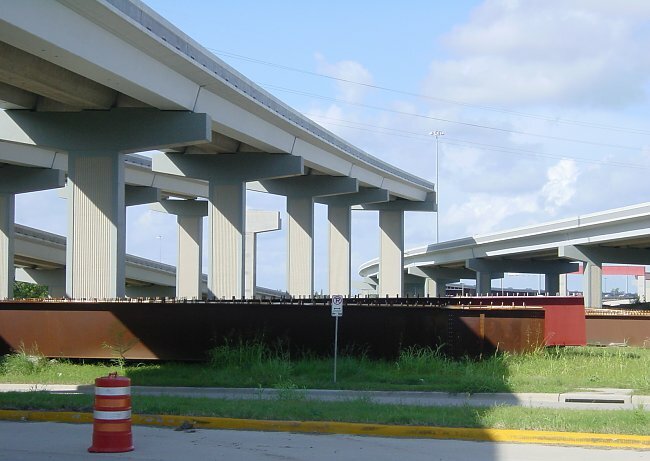 The ramps will connect to the upcoming extension of the Hardy Toll Road. (high resolution 270k) Looking southwest. As of 20-December-2001, all traffic had been removed from the old main lanes, which are still intact in the middle of the photo. The old main lanes will be demolished. (high resolution 345k) Looking northeast. Piers are now in place to build the missing sections of ramps. Photo taken 8-September-2001. Connection ramps are awaiting construction of the final sections. Photo taken 8-September-2001. (high resolution 230k) Looking southwest towards downtown Houston. The original US 59 main lanes are in the middle. These lanes will be demolished and replaced. In the background, structure removal can be seen. Photo taken 22-May-2001. (high resolution 253k) Looking northeast. 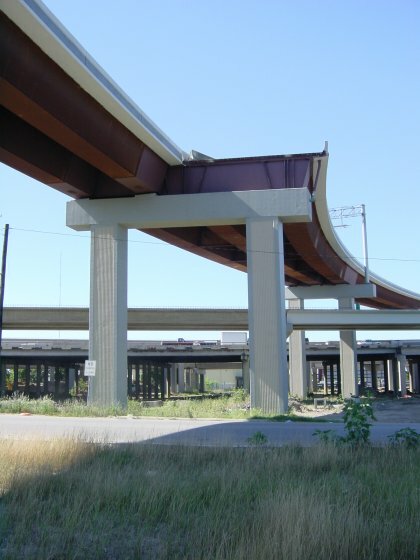 The remaining original US 59 main lane structure is the second structure on the left. It will ultimately be demolished and replaced. Photo taken 22-May-2001. This stub-out in the new connection ramp will connect to the Hardy Toll Road freeway extension. Photo taken 22-May-2001.